The Biggest Loser…Inspirational yet is it realistic? Realistic for the average person? 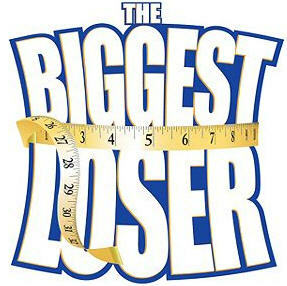 I had a break in my schedule this afternoon and found myself watching The Biggest Loser on Television. This is quite a popular show, and I figured it might be a good idea for me to see what all the hype is about! I have a lot of clients who ask me about the show and are interested in some of the workout techniques used. I was a bit alarmed when I saw how these people were losing as much as 20 pounds in 10 days. These people clearly have a lot of weight to lose, but I am a bit confused as to what message the producers are trying to send to the viewer. Viewers are getting a false impression as to how these show contestants are losing weight. What some may be failing to realize is that these contestants are monitorred 24 hours and basically eat, sleep, and live with fitness professionals. Their meals are being cooked for them in most cases. They are working out for hours a day, sometimes twice a day. They are in Boot Camp. When these contestants are sent home, they are sent home with recipes, and daily workout routines that they must continue to do. They are even supplied with workout equipment in their homes and the fridge and kitchen are stocked! I have had some clients who wonder how they can see “Biggest Loser” results. The realistic answer is that they must find the motivation from within if they cannot afford to have a trainer with them 3+ days per week. It is a huge step and you need 24 hour support from a professional support system. Interested in learning the Blueprint for “Biggest Loser” results? Contact me via email or visit my website www.nikolklein.com. Posted on February 9, 2009, in Uncategorized and tagged biggest loser, diet, nikol klein, nutrition, san diego personal trainer, san diego personalt training, the biggest loser, weight loss. Bookmark the permalink. Leave a comment.